Two modes: following mode and infrared obstacle avoidance mode. 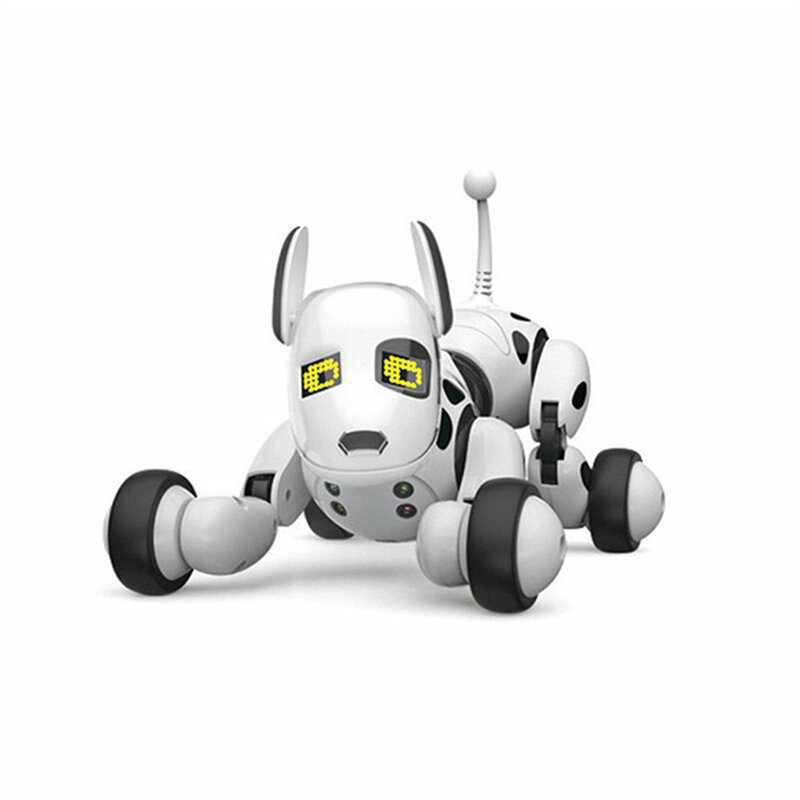 Performing action: squat down, roll over, stand up and walk around, crawl forward, imitate urination . 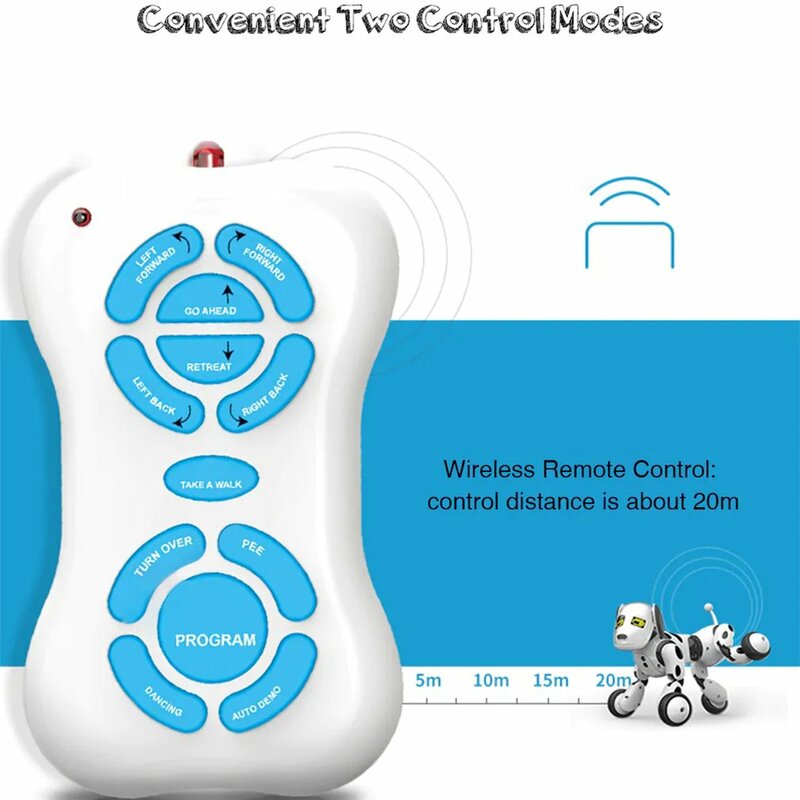 Two control modes: wireless remote controller, touch-sensitive control . 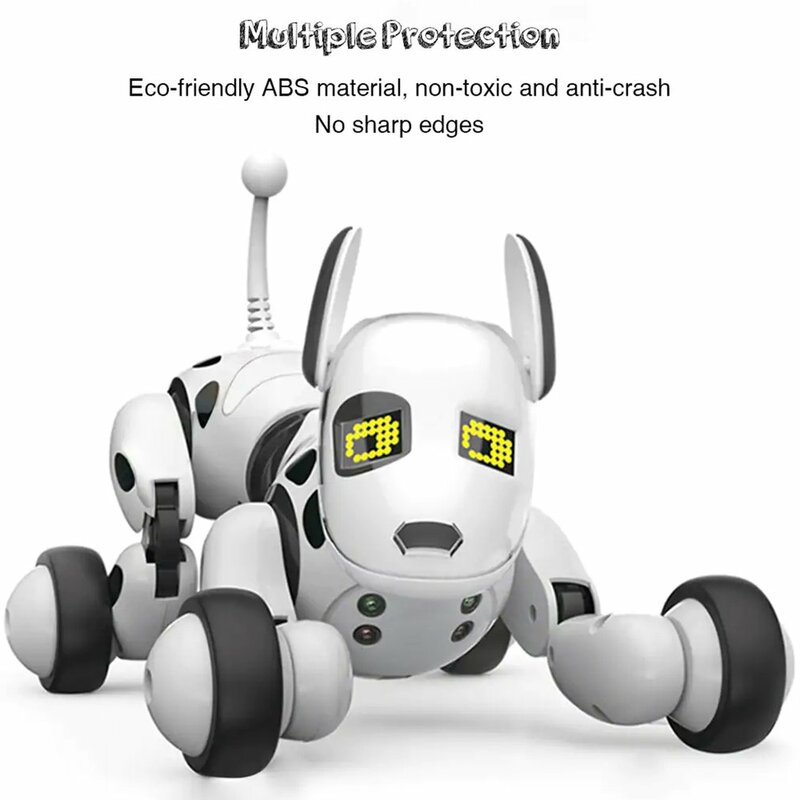 Eco-friendly ABS material, non-toxic and anti-crash, no sharp edges, harmless for kids . LED light eyes can change the expression. 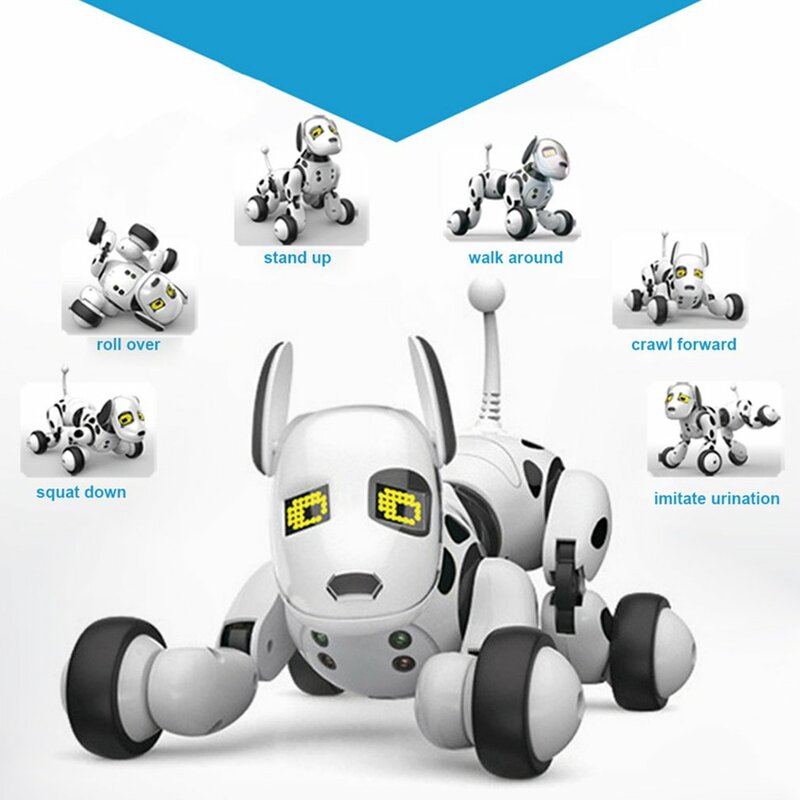 The intelligent RC robot dog is made of ABS material, eco-friendly and non-toxic, harmless for kids. 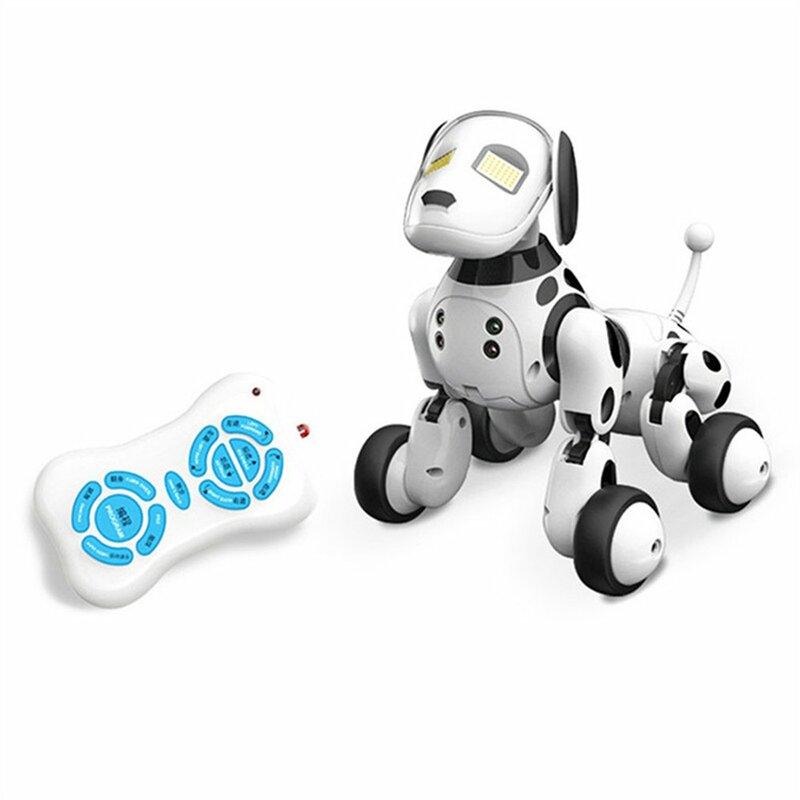 DIY assembled toy, train hands-on skills and learning abilities of kids. 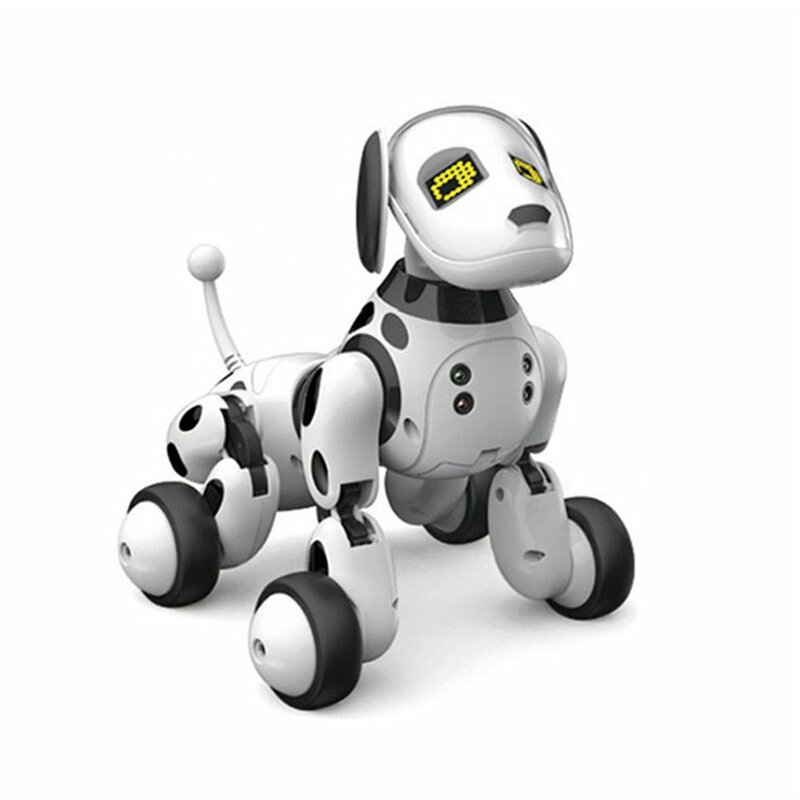 In addition, it can sing and dance, tell stories and so on, is a great gift for your children.